I also learned that turtles lived at the time of dinosaurs, so they became my ‘substitute dinosaur’ pets. I grew up with turtles in the house. Much of my reading about turtles described species, their natural history and their care. As I outgrew the children’s sections of the library, my pet turtles thrived. I still have a few of them decades later. My familiarity with turtles led me to biology. Throughout my university education I gained experience in a number of scientific areas and with many organisms, including fish, crabs, frogs, flies, primates, pigeons, snakes and sharks. But turtles held my focus; they are ancient, fascinating and among the most imperilled species. I had never kept sea turtles as pets, but I was fascinated by them. 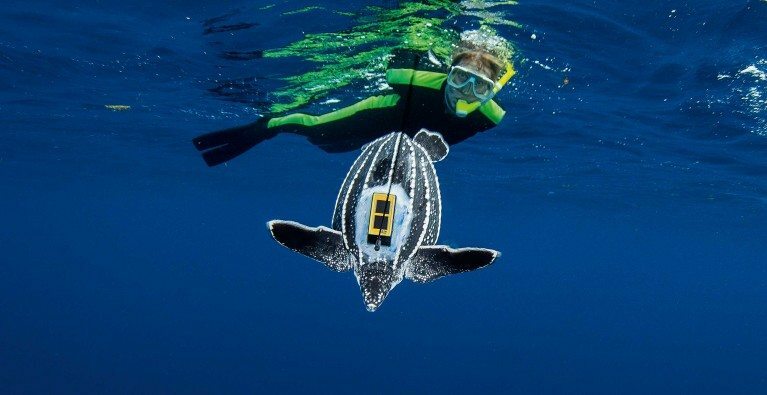 They are turtles that defy norms: they have flippers, migrate long distances and cannot withdraw into their shells. They start life very small and grow very large. We know strikingly little about their lives at sea.